How to Obtain Personal Financial Freedom! Personal finance is very important to everyone. That is because, these days everyone is trying to save money and manage his or her resources in the best possible manner. There is plenty of information and a number of products out there that can help you manage your personal finances. You can use financial software for this purpose or get help from financial planners and lawyers. Personal finance management will help you obtain financial success. Although personal finance management may seem hard to you, it is certainly possible, as long as you follow the following guidelines. Just by following a few simple steps you will be able to save thousands of dollars and make the best of your financial resources. First, it is imperative to make a household budget. This budget must also include your yearly bills. It is also important to include your saving objectives as well as retirement funding goals. A household budget helps you have a clear idea of how much you have available to spend. Once you jot down all your expenses in black and white you will be able better understand; how and where you can cut back, what expenses are unavoidable and how much you can potentially save. Not having a written household budget is like driving with a blindfold on and you'll never get to where you want to go. Another easy way to personal financial freedom is to use finance software. It helps to save your time as well as energy. You can simply enter the information required by the software and you will be provided with a plan which will help you manage your financial resources in the best possible manner. Paying your debts should be your first priority. This is for the reason that if you do not pay off your debts you will continue to be entrapped in the vicious circle of interest. Once you are free of your debts you can manage your credit cards in a better way so that you do not have to continue paying heavy interests forever. Another way to manage your personal finance is to get insurance. It can save you from heavy medical bills in case you or your family member encounters an accident or have to be admitted to the hospital in case of any serious ailments. Having insurance will help you to manage your expenses and save you from unexpected bills that can ruin your budget. This way you will be able to secure your future as well as your family. As always, National Cash Credit's priority is educating our customers on ways to gain financial freedom from debt - with knowledge being the most powerful tool we have access to, sharing knowledge benefits everyone! One of the biggest problems with storefront payday and cash loan lenders is finding a location close to you, especially when you're on the run and swamped with errands. With our online payday loan and cash loan services, you can access our secure online application anywhere, any time, as long as you have an internet capable device. Sound better than hunting down a store and waiting in a line with a bunch of other people? We thought so, but wait! We have something else even better - We do the heavy lifting to find you the best deal on a payday loan or cash loan possible. You get less fees and more cash, making your experience a positive one. National Cash Credit is proud to offer only the best in customer service. We know how it feels to need cash and have to deal with cold bankers and lenders who will accept payment in the form of an arm or leg - that's why we started National Cash Credit! We want to make sure others get a positive, easy, online lending experience and get only the best pre-screened lenders who will give you the customer service you deserve. No hassles, no stress. Just apply online at our website from any internet device and you get a response and cash in as little a a day. Cash, fast, minus the stress. That's National Cash Credit. Many people taking out payday loans or cash loans for the first time often wonder, "When is the best time to apply so I can get my cash fast?" We know how hard the waiting period between applying and getting your cash can be - that's why we're sharing our tips to get your payday loan or cash loan quickly. Like most banks, lenders often process loan requests Monday through Friday. This means applications completed Friday through Sunday could have a delay in getting completed and the cash may take some time to arrive to your bank account. If you're on the fence about applying, but think you may end up needing some cash for weekend emergencies, we recommend applying between Monday and Thursday. Your loan application will be processed quickly and you could have cash in as little as one hour. Why wait? Nothing is worse than getting stuck without cash for the weekend - especially if an emergency pops up! Our secure website makes applying simple from any internet device - even your smartphone. Loans shouldn't be difficult, and they shouldn't take your whole day away. We do the heavy lifting for you by matching your application up with the best lenders in our network. Give us a try today! 1. Analyze - Look at your expenses for the past months. What do you spend the most on? Unfortunately, many people spend money far beyond their means, creating a reliance on credit cards and large bank loans to get out of financial trouble. Knowing how much you spend is the first step toward being more aware of what you can afford. 2. Don't do it alone - If you're the only one working on the budget and working to avoid excessive spending, you're fighting a losing battle. Too many relationships crumble under financial stress. Don't let your relationship suffer because of financial woes! Sit with your partner and discuss the spending habits that are creating problems and lay out some solutions that the whole family can work on! 3. Ditch the bad habits - If you haven't already noticed the climbing cost of a drink at the local bar or a pack of cigarettes, you sure will when your bank account whittles down as a result! Ditch those bad habits and save hundreds and even thousands yearly that can be put into savings or put toward paying down debts! Another upside - better health! 4. Save - Saving as little as 5 to 10% of your paycheck could be the difference between paying off a credit card or a loan and living paycheck to paycheck! Need a kick start? That's where we come in - National Cash Credit is your payday loan or cash loan solution for those moments where you're still saving for emergencies or hoping to put the money away for a long term savings goal...we'll take care of your financial emergency and get you back on track in no time. National Cash Credit is there to help you get a kick start on less debt. Whether you need help paying an emergency bill or help getting started on your quest to end debt, we can help get you on the right track if you're in need before your next paycheck. Need more advice or have questions about our service and how it works? Visit our site today! National Cash Credit is the simple online payday loan or cash loan solution for anyone in need of quick cash without the hassle of dealing with banks who frown at anything less than flawless credit (who even has perfect credit in this current economy?). Our lenders are friendly, flexible and offer a variety of options for every day Americans in a financial pinch. You get cash direct to your bank account in as little as 24 hours, and get on with life. Payday loans are a good solution to any quick cash emergencies that pop up in life because you can get that quick cash, pay your bill and not worry about a long term, large scale loan looming in the distance. Instead, paybacks are quick and low cost and you can pay back the loan as soon as you get paid on your next payday! We are here to make life easy for you, so finances don't become an additional source of stress - you already have enough on your plate! Let us take the hassle out of finding the best payday loan or cash loan for your needs. Visit National Cash Credit today and try out our secure online application - we make applying for quick payday loans or cash loans simple and safe from any internet friendly device - even your iPhone! We're here to help - with National Cash Credit, you'll get the highest quality lending network and walk away with the cash you need to take care of your bills. 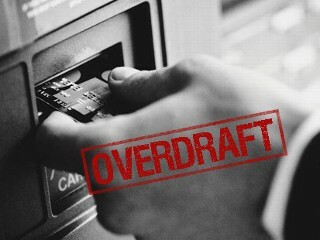 Overdraft fees are terrifying for anyone in a financial pinch. You get an overdraft charge for each item that is charged, and if you planned on making several payments but suddenly find yourself short the cash, you're up a creek with even less money than you anticipated as those overdrafts climb higher and higher. What to do? A few hundred dollars isn't usually enough of a reason to get a huge bank loan, and certainly getting a large loan will only put you further in debt - that's where a quick payday loan or cash loan can help and get you back on your feet without taking any more of your time and money! Our payday loans and cash loans offer payback options ranging from 15-45 days, giving you plenty of time to get that next paycheck or two and get things in order after your financial emergency. With National Cash Credit's large network of carefully screened, quality lenders, you're sure to find something that will work for your needs without even having to leave the comfort of your home or office. Out running errands and have no time for a computer break? National Cash Credit is accessible from any smart phone or internet friendly portable device - get out your PSP, iPod Touch, Droid or iPhone and go to our secure online application - takes just a few seconds of your time and you get a variety of options that best suit your needs! National Cash Credit understands emergencies. That's life, after all! But life's little emergencies shouldn't shut you down forever and keep you stuck in a debt cycle. Let us help you get your life up and running again so you can rid yourself of financial stress and go about your business! Nothing feels better than knowing your finances are where they should be, and that all the bills are paid. Unfortunately, in the real world, things don't always line up to make your life stress-free - that's where National Cash Credit can help. We take the weight off your shoulders with a service that finds you the best payday loan or cash loan possible, doing the hard work of selecting quality lenders while you relax knowing you're in good hands. National Cash Credit understands what it's like to run out of money just when you need it - we're every day people who started National Cash Credit with every day, hardworking people in mind. We're like you, and like you, we want only the best in service for the best price possible. Our network of lenders are carefully screened and only the best of the best make the cut - we won't ever put you in the hands of sheisty lenders who are out for blood! Think of our lending network as an oasis amid the lending sharks - we're trusted, caring and here to help. Relax - we've got you covered. 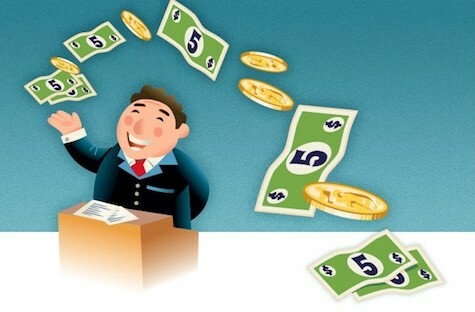 Stressed out about finding the right payday loan? With all of the lending services out there offering payday loans and cash loans, it may be hard to select the perfect service, let alone know which service will offer you the best in quality for your payday loan needs. National Cash Credit is proud to stand apart from other lenders and offers only the highest quality lenders in our carefully screened network of trusted and reliable lending sources. We do the work to find you the best deal on your loan, and you get a lender that won't take you for a financial roller coaster ride. Our priority is the customer - after our own bad experiences with shady lending services, we grew tired of seeing nothing but lower quality customer service in the payday loan and cash loan industry. Starting our own service with that thought in mind, we set out to create a lending network of quality, caring lenders who are guaranteed to get you the best loan and the lowest fees possible. We do our best to work with every customer to find a loan out there that will best fit your needs, regardless of your financial situation. Stress. We all feel it when finances get tough. At National Cash Credit, we know how frustrating it can be to find a loan while there is financial stress on your mind - you still need to work, take care of the kids, and make sure the family is tended to, so let us take the burden of finding the right payday loan or cash loan off your mind. We do the heavy lifting to find you a loan you'll be satisfied with. National Cash Credit has been there, and we care. Check us out on the web today at our secure website - our short online application takes mere seconds to complete. At National Cash Credit our customers are every day people from all walks of life who simply run into the occasional financial emergency and need a fast, no hassle solution to their financial dilemma. We offer payday loans and cash loans with no fax, no credit check and no store fronts. Because we're fans of helping our customers stay informed about smart ways to avoid falling into the trap of the lending cycle, we'd like to suggest some easy tips to make your vacation planning as easy as getting a payday loan from National Cash Credit! Everyone deserves a vacation - read on for some simple tips to make planning for a vacation easy so you don't end up in major debt from holiday! 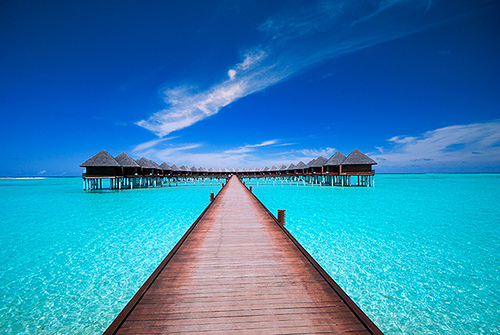 Map out your vacation - Where do you want to go? Are you doing the "when in Rome" approach and living like the locals, or planning to hit every tourist stop along the way? Consider how you most enjoy taking in the sights in new places, and factor this in so your vacation is guaranteed to suit your style of leisure. Prepare your pocketbook - It is far easier to plan ahead for the financial impact of a vacation by chipping away at the desired amount of money you'd like to have access to over a longer period of time. Start small and work a little at a time - even a dollar a day can add up over the length of a year, so consider what a fair, feasible amount might be to toss in the savings account each week or month. When vacation comes knocking, you'll have a nice little nest egg and know that your checking account won't hurt from the spending! Scour the internet - The internet has evolved into a coupon and savings haven for individuals and families looking for great deals on travel, lodging and sightseeing. Sites like Groupon have a variety of great coupons you can purchase for use in many larger cities - sign up for updates and get savings ideas sent direct to your email. Be creative - Head to the local bookstore and check out the travel section for off-color travel books that give tourists a fresh look at the hidden gems in many popular travel destinations! Save money and explore secret local favorites or lesser traveled tourist destinations on even the smallest of budgets! With the weekend just around the corner and the start of the month just behind us, it is hard not to feel a bit beat up by rent, car payments and other bills that all seem to pop up around the same time each month - where's the money for the weekend? Probably on the way to your landlord and creditors! Don't panic - that's exactly why we're here - National Cash Credit is a reliable network of trusted and carefully reviewed lenders guaranteed to get you the best deal on a short term payday loan or cash loan so you can stay in the black until next payday! We know how you feel - our bills come up all at once, too! You'd think creditors would be more willing to make due dates work with your payday so they could increase the chance of people paying on time without going broke! Unfortunately they're not that generous - but that's where National Cash Credit can help...by offering you a great rate on a quick, faxless payday loan or cash loan we can get you the money you need from our network of lenders without any hassle. You get cash sent straight to your account in as little as one day, and life goes on as usual without the burden of overdrafts or other financial issues popping up. National Cash Credit - quick, simple and FRIENDLY. That's how we do business, so you can go about your business without the hassle of going to a payday loan storefront or even leaving your desk! You can even access our secure online loan application from your smartphone - apply without interrupting your grocery shopping trip! Give us a try and see how we're working to change your payday loan experience for the better!